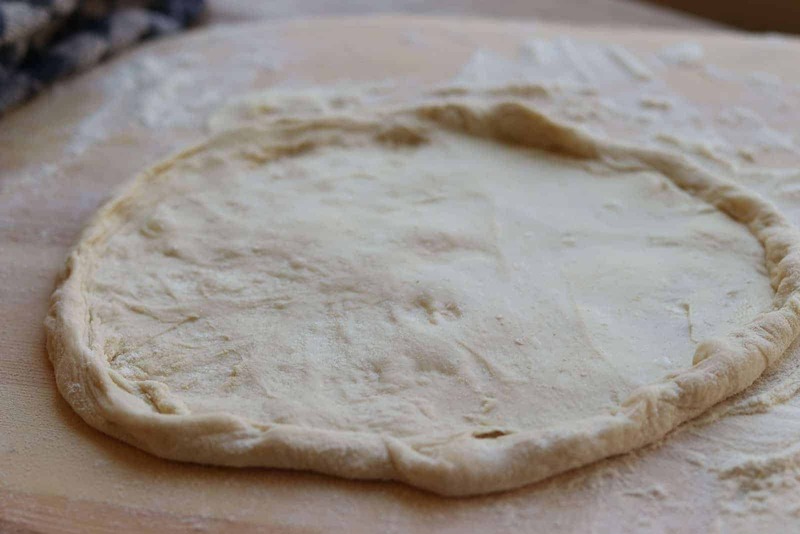 I love making thin crust homemade pizza dough – maybe that’s why pizza is one of my favorite foods. After joining WW, I searched forever to find a pizza dough that was low in points and calories but nothing was quite right. The cauliflower crust is fine but it’s not pizza crust. I also tried the pizza dough made with the Greek yogurt, again not bad but the crust didn’t have the right texture for me – too bready. Finally after much heartache, I decided why not just make a traditional dough, stretch it thin and load it up with veggies and eat it with a fork if I have to? The ingredients in this homemade thin pizza dough are healthy, and there’s no oil. If you take a smaller amount of dough and stretch it thin, there are less carbs, less calories and less points. 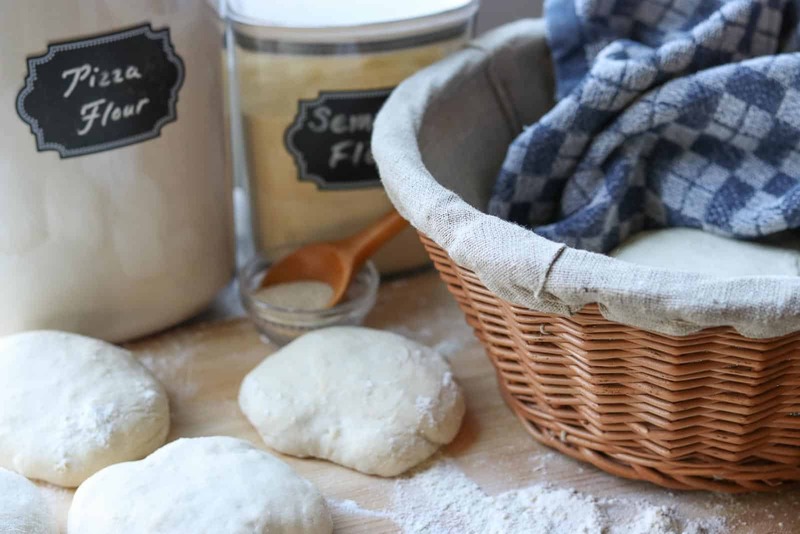 My motto has always been, “I’d rather eat a tiny slice of heaven, than a whole lot of yuck!” Make this homemade thin crust pizza dough and you’ll see! It’s delicious! Keep reading to find out the secret ingredient to making this dough thin. What is the secret to making this homemade thin crust pizza dough? The secret to making this homemade pizza dough is using 00 Caputo flour and doing a slow cold rise. 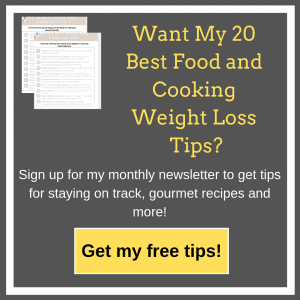 It does take some time (not active time – rather rising time) but the results are fantastic! A perfectly thin crust! What is 00 caputo soft wheat flour? 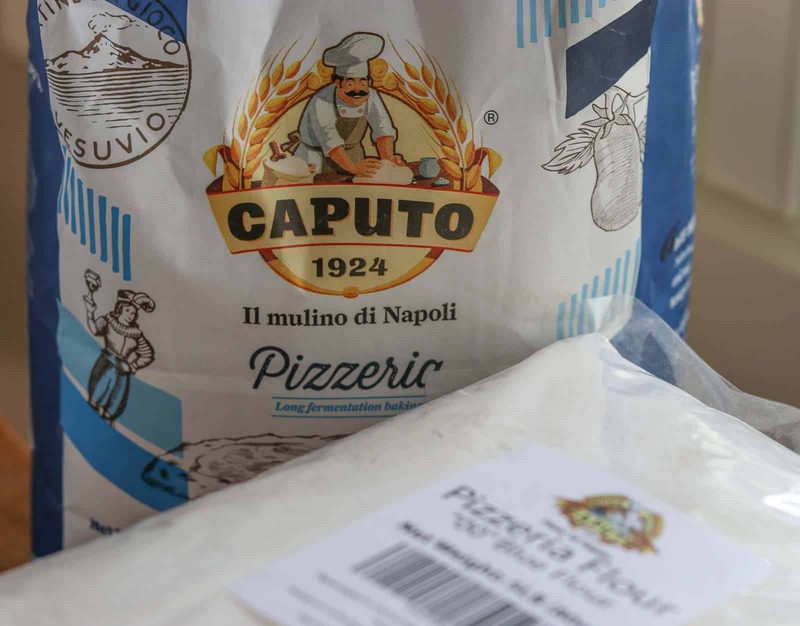 00 Caputo flour and 0 flour refer to the Italian milled flour that is used for pasta making. 00 flour is finely ground. It creates a dough that is silkier and maintains a chewiness when baked. It has just enough stretch to make a nice thin pizza. What is the difference between all purpose flour and 00 Caputo flour? 00 Caputo flour is finely ground and has a lower gluten content than most flours. You can’t find it in regular grocery stores. I buy my 00 flour on Amazon in bulk as we make pizza usually once a week. Can I use an all purpose flour for making pizza dough? Yes and no. It will taste good but it is much harder to stretch and will tear more easily. 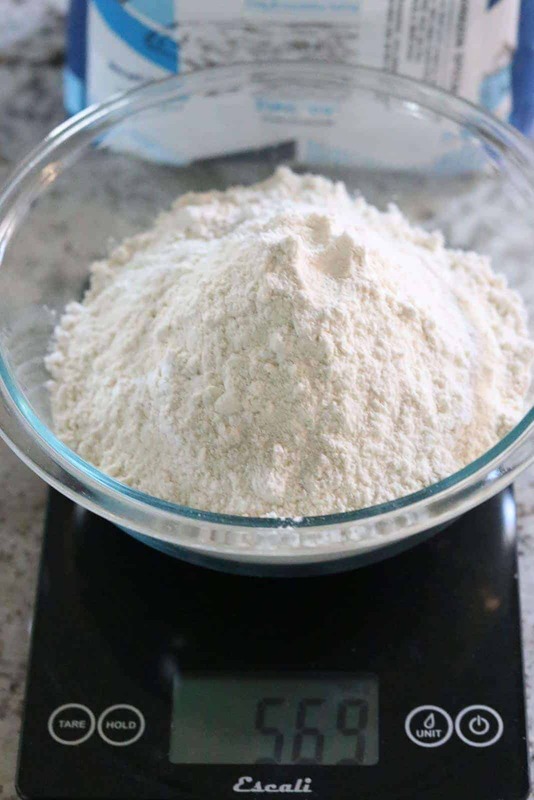 I love using the 00 flour especially for weight loss reasons as I can make the pizza big, yet thin which is much harder to do when you use an all purpose flour. Do I need a pizza oven or can I use my regular oven? No, you definitely don’t need a dedicated pizza oven. I do love my Breville Pizzaiola because it can get to 750° but it is very expensive and you can make a great pizza without it. The trick is to get your oven hot enough. Pizza stones work great, be sure to preheat the oven to 500° with the stone in place so it gets super hot before you add the pizza. If you don’t have a stone, you can use a baking sheet. However, be careful, don’t use parchment paper when baking at that high of temperature because it will burn and catch on fire! Place a little flour/semolina mix down on the baking sheet so it doesn’t stick. All oven times vary, so watch it carefully and take it out when you think it’s done. Is flatbread dough the same as a thin crust pizza dough? Technically, no. Homemade flatbread dough is not the same as homemade thin crust pizza dough. I actually learned this fact recently. Previously whenever I make a thin pizza dough, and didn’t use sauce and only a few toppings, I called it, “flatbread.” But flatbread as I have learned, is really dough made with unleavened yeast – meaning the dough does not rise. It has nothing to do with the sauce, amount of ingredients or the depth of the crust. However, many people tend to call pizza, “flatbread,” if it is thin, rectangular shaped, has a crispier crust and lighter toppings. Most people think of pizza with a thicker crust, lots of sauce, toppings and lots of cheese. Is this recipe quick and easy? Yes, it’s easy but note, I did not say, “quick.” While it is easy, it does take some time, not active time, but rising time. At first glance, this easy basic pizza dough, may look like it’s complicated. It really isn’t. There aren’t a lot of active steps, it just takes a long time to rise but it’s worth it and you can keep the dough in the refrigerator for a few days or you can freeze it. How do I freeze this homemade pizza dough? It’s super easy to freeze the dough. After you divide it into 8 individual portions, wrap each portion carefully in plastic wrap, then place in an airtight plastic bag and place in the freezer. When you’re ready to use it, take out the number of portions you need and let them thaw at room temperature for about 2 hours. If the dough feels cold, then let it warm up a bit. Warm dough equals stretchy dough. Allow it to rise in warm place for an hour. Divide dough into 8 pieces, let rise in fridge for at least 6 hours but up to 3-4 days. Or freeze it for later use. Preheat oven, shape into pizza, add toppings and bake. That’s it! 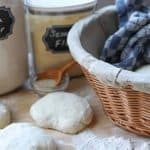 Making homemade pizza dough is easy! It does take some time but it’s well worth it. I like to make a big batch and freeze the dough for later. Weigh out 00 flour using a kitchen scale. It’s important to weigh your 00 Caputo flour for this recipe. Measure out 570 grams. For some reason my scale likes 569 or 571, not 570! 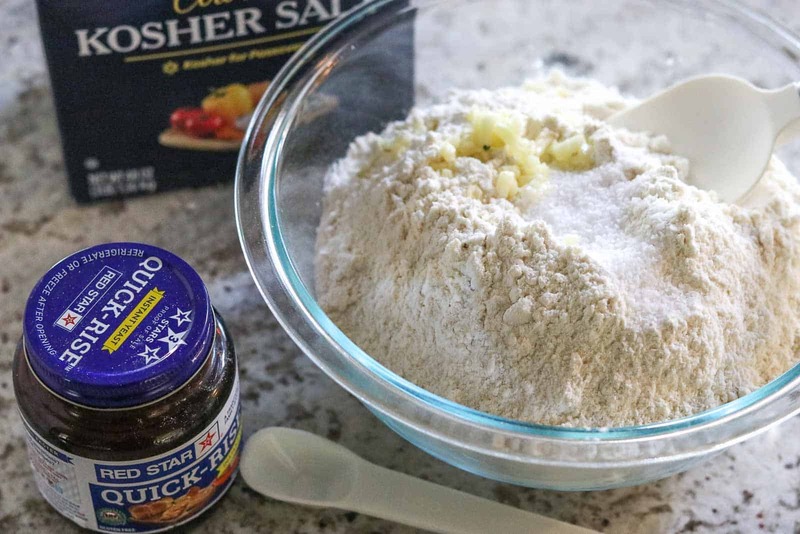 Add yeast, salt, and minced garlic to flour. Weigh out cold water using a kitchen scale. Mix dry and wet ingredients together with a stand mixer. If you have a Nutrimill Artiste Mixer then add water first, then flour mixture. If you have a Kitchenaid mixer, add flour mixture first, then water. Cover the bowl with plastic wrap or a towel and allow to rise for an hour. Spray the bowl first with some oil, add dough, then cover and set in a warm place for about an hour. If your oven has a proof setting, you can put it in there, no more than 100°. I like to weigh each out each piece using a kitchen scale so they are about 116-120 grams each, this helps keep portions the same if you are counting calories. Spray with oil, cover with parchment paper and wrap in plastic wrap. Allow to rise in refrigerator for at least 6 hours and up to 4 days. At this point you can wrap them individually and freeze them. When ready to make your pizzas, take out the dough 1 hour ahead of time and allow it to rise (still covered) on the counter. To form the pizza, start by flipping over the outer edge to make a crust. Don’t stretch the pizza yet, it is still a small disc. Now that the crust is formed, start stretching the dough. If it’s at room temperature, it should stretch very easily. To do this, hold the pizza dough up vertically and allow it to stretch downward, then rotate the dough as you go so it stretches evenly. Place on a wooden pizza peel. Add sauce if desired and toppings. 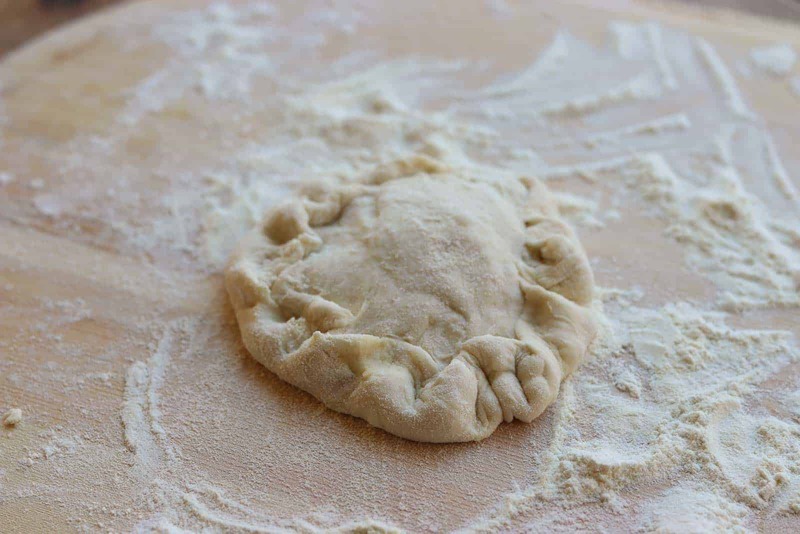 Slide pizza onto a pre-heated pizza stone or baking sheet dusted with mixture of Semolina flour and flour. I like to use a pizza cutter rocker blade to slide the pizza from the peel to the stone or baking sheet. 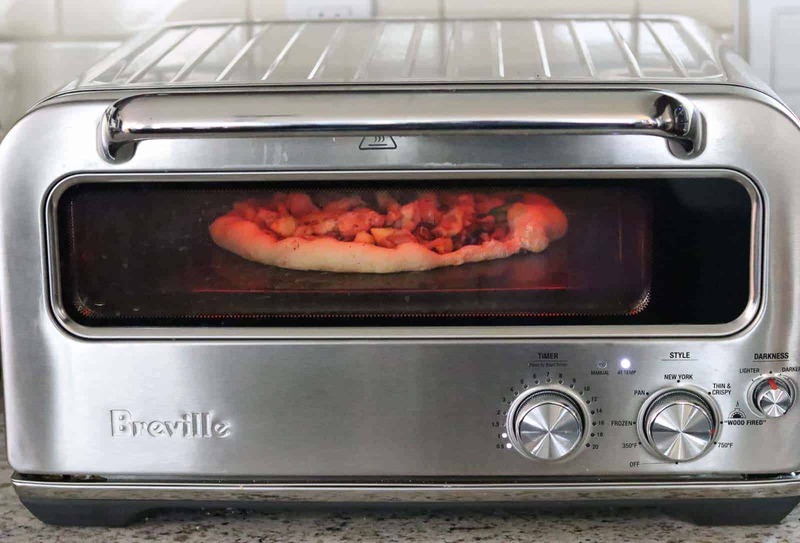 Bake in oven until done about 6-8 minutes at 500° or for 2 minutes on “wood – fired” setting – 700°, if you have a Breville Pizzaiola oven. Enjoy!!! Use this crust recipe with my Thai Pizza! 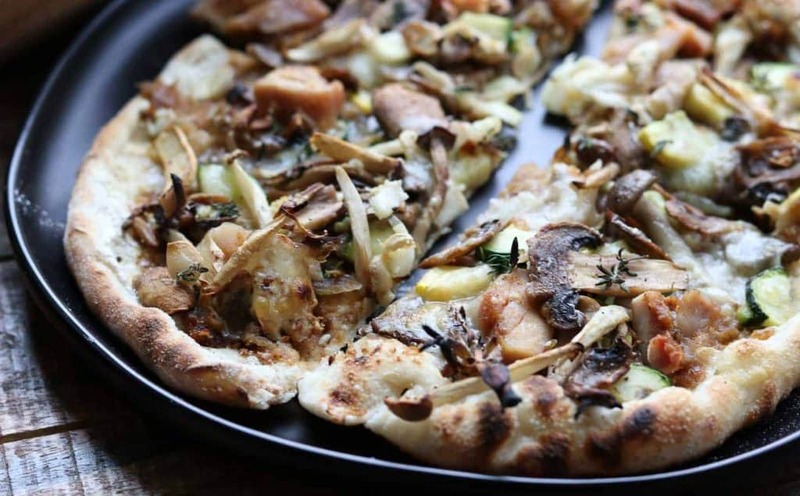 Use this crust recipe with my Wild Mushroom Pizza! This healthy homemade thin crust pizza dough, may look complicated but it’s not! Be sure to use the special flour and you’ll have perfect crust every time! There aren’t a lot of active steps, it just takes a long time to rise. Divide dough into 8 pieces, let rise in fridge for at least 6 hours but up to 3-4 days. It’s a great pizza! Load it up with fresh veggies and a small amount of cheese you have a very filling and satisfying homemade pizza! Carefully measure out the 00 Caputo flour – I do this on a kitchen scale. Weigh your bowl first, then push, “tare,” until the number reaches 0. Then add 570 grams. Add yeast, salt and garlic to flour mixture. 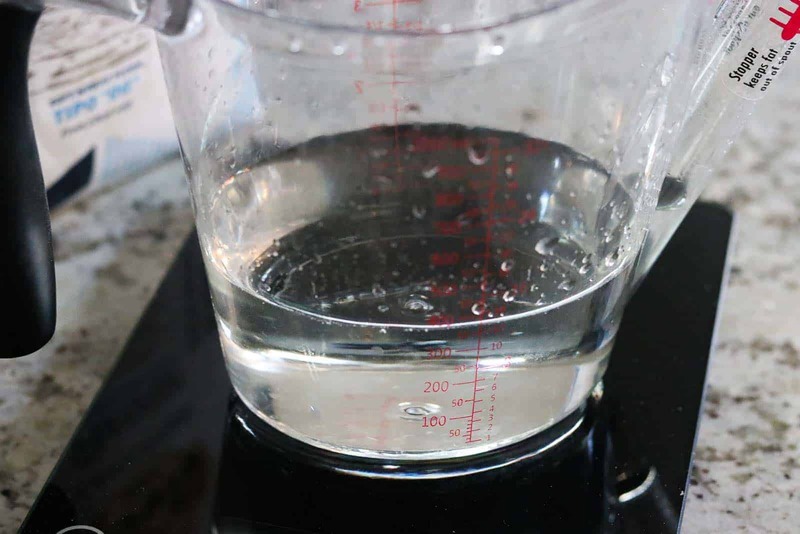 Weigh liquid measuring cup on a kitchen scale , add 370 ml of cold water. If you have a Nutrimill Artiste mixer, add water first to your mixing bowl, then gradually add flour. 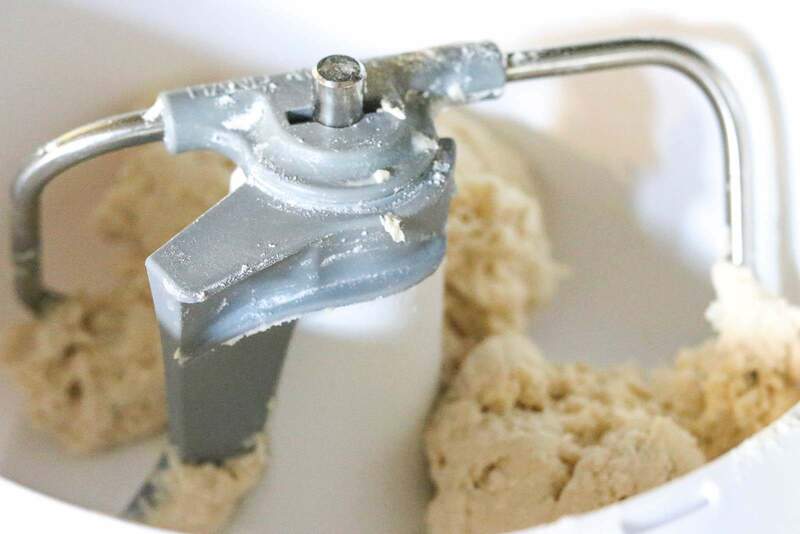 If you have a Kitchenaid type mixer, add flour first and then gradually add water. I like to take a spatula and mix mine around first before turning on the mixer. Knead on low speed for 5 minutes. Cover the bowl with plastic wrap and allow dough to rise in a warm draft free place until it’s about double in volume. This takes about 45-60 minutes. I actually have a “bread proof,” option on my oven so I put mine in there. If your oven can go as low as 100°, then do this. While dough is rising, prepare your pans. 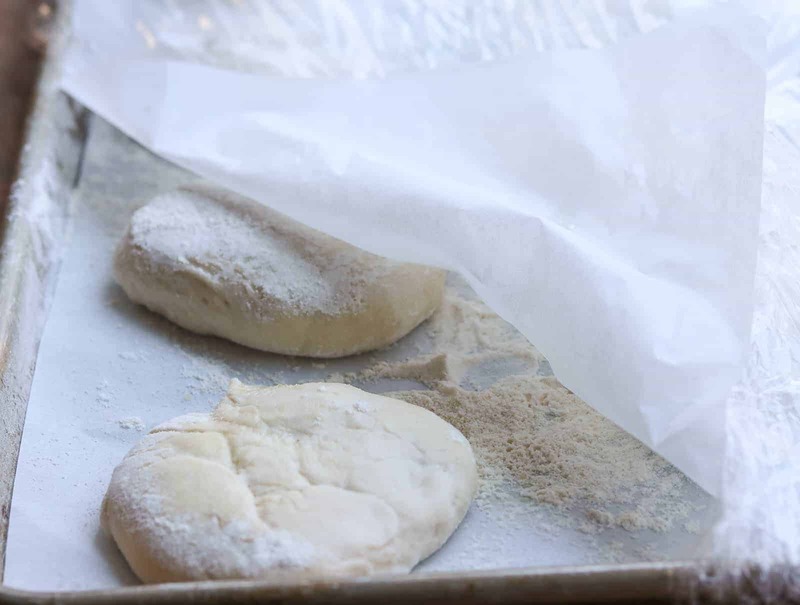 Place a piece of parchment on a large baking sheet. Add about 1/4 cup of 00 flour and 1/4 cup of semolina flour. Mix with hands and spread over baking sheet. 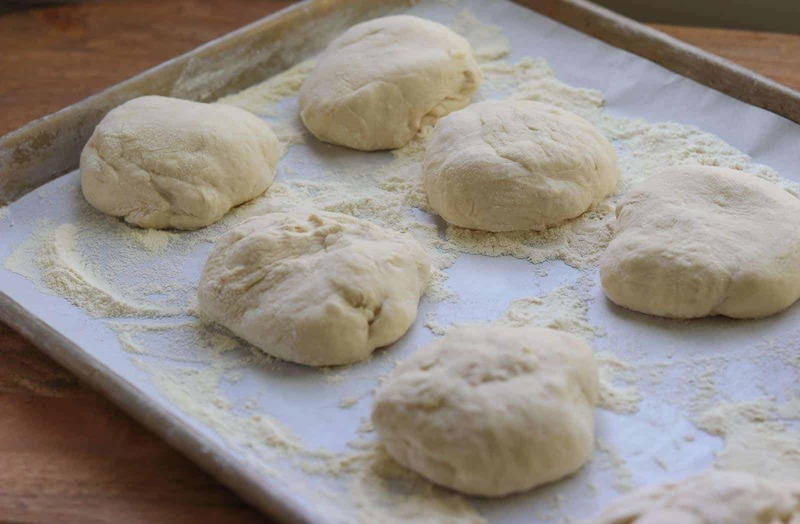 Once the dough is risen, divide dough into 8 pieces (weighing on a kitchen scale about 120 g or about 4 oz each). It’s best to weigh out each piece if you’re counting calories and points. Place each dough ball on the baking sheet separated a few inches from each other. You may need two trays depending on your baking sheets. Spray balls with oil. Cover tray with plastic wrap. Make sure it’s wrapped well, otherwise your dough will become hard in places. Refrigerate for at least 6 hours or up to 3 days. Preheat oven to 500° with pizza stone inside (if you have one – otherwise use a baking sheet later when you put in the pizza) or if you have a pizza oven about 700°. Form into pizzas. See beginning of post for pictures and more instructions, you should be able to make your individual pizzas almost dinner plate size -if you used the 00 Caputo flour. Add sauce if desired, and toppings. Bake until done about 6-8 minutes at 500° or 2 minutes if you have a pizza oven. I do like this dough better the first few days. After day 3, it becomes hard to stretch, it still tastes good but more difficult to make into pizzas. The pizza bakes much better if you preheat a pizza stone, but if you don’t have one, just use a pizza pan. 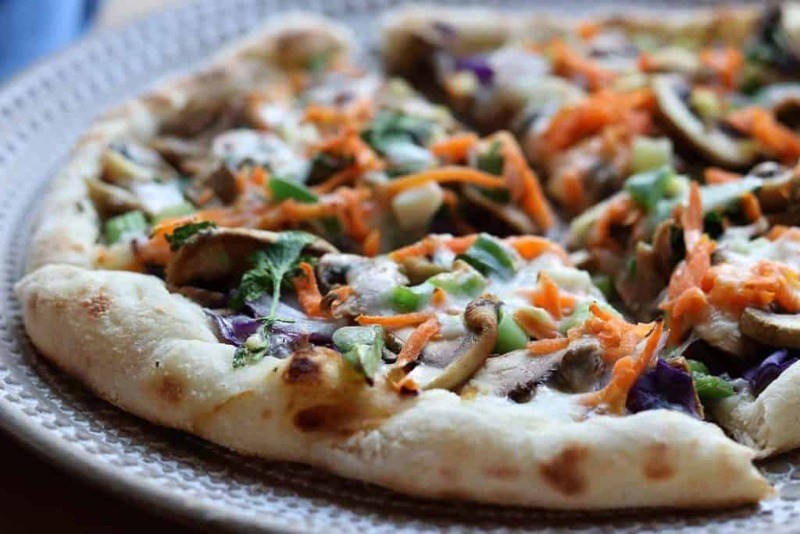 The Thai Pork Pizza is a great one with this crust! It’s also great with my new Wild Mushroom Pizza with Caramelized Onions, Garlic, Zucchini and Truffle Oil! No Replies to "Easy Basic Homemade Thin Crust Pizza Dough"